We happen to visit Powerplant Mall after avoiding the place last December due to traffic and was surprised to discover that Eric Kayser was already open. 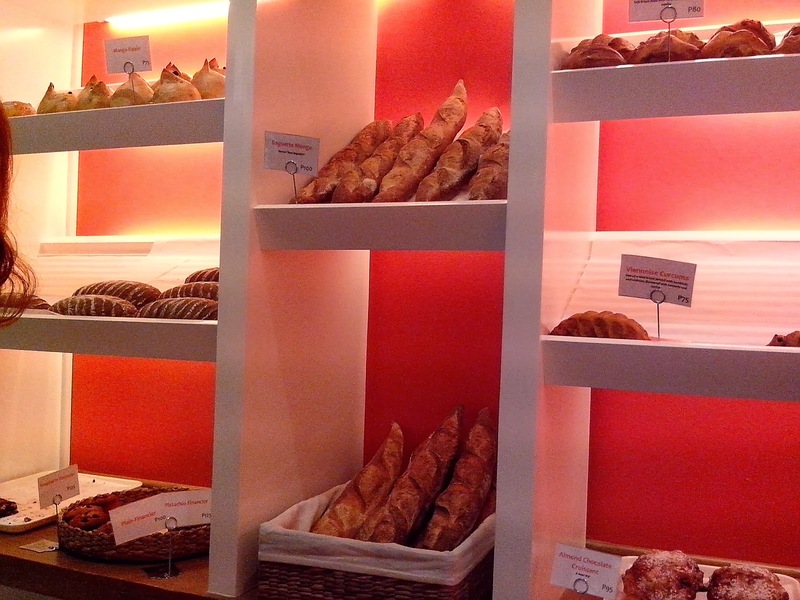 Maison Kayser turned traditional bread into a work of art. 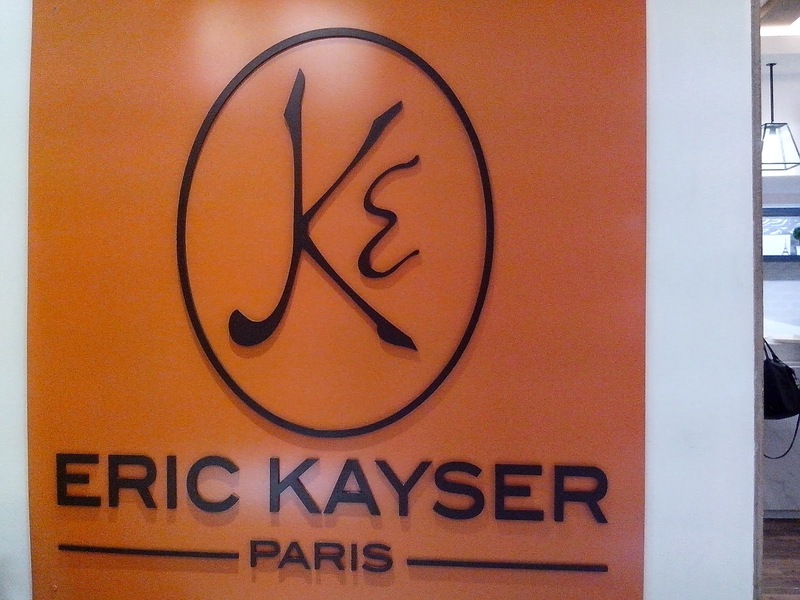 He opened his first store in 1996 in Paris and has expanded to major cities around the globe including Hong Kong, Japan, and now in Manila. The store in Powerplant Mall is located beside Rustan's Marketplace. I would have passed it by if not for the big orange sign. 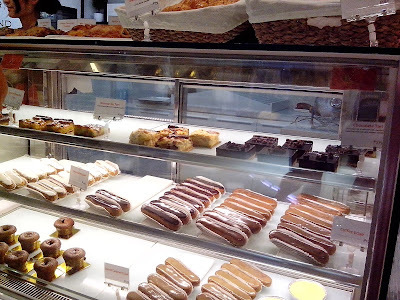 That's when I saw the eclairs! It was already passed 7pm when we saw the shop so most of the breads were sold out already. 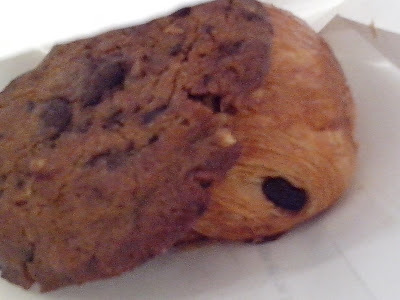 We were going to watch a movie so daughter chose the chocolate croissant (I think she got the dark chocolate one), and I got the dark chocolate cookie for hubby. 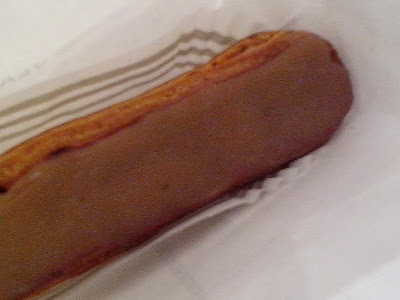 The cookie was just okay but daughter was singing praised about the chocolate croissant. I had a tiny bite and it was good. The cookie and croissant costs P85 each.